Manage your website with our easy to use control panel. All of our hosting solutions run on the Linux platform. 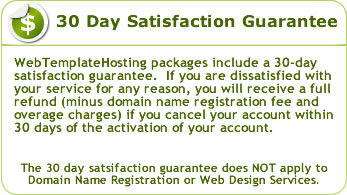 Backed by years of experience with web template hosting. Don't just take our word for it, check out what others have to say. Let us help you decide what solution you need. Professional in design, choose our web templates that work. Read the frequently asked questions, and know ahead of time.